An estimated one million protesters took to the streets over the weekend to express their dismay over the current Brexit crisis. As expected from a demo of that size, a range of organisations and activists attended the march, although it was led by the official People’s Vote campaign – a grouping that can be described as a continuity coalition of the liberal centre, much like the 2016 official Remain campaign Britain Stronger In Europe. At the back of the march, the left bloc assembled. Labour movement and left-wing activists carried and vocalised slogans demanding a Green New Deal, solidarity with migrant workers and the end of austerity politics in Britain and Europe. Our bloc stood in stark contrast to the official People’s Vote rally, which left-wing activists are right to reject. But when Lexiteers use the “by association” argument to criticise those building a left-wing anti-Brexit movement (i.e. because liberals and centrists care about Brexit and turn out to campaign against it, the left shouldn’t), they should take a look at the political coalition they have forged. 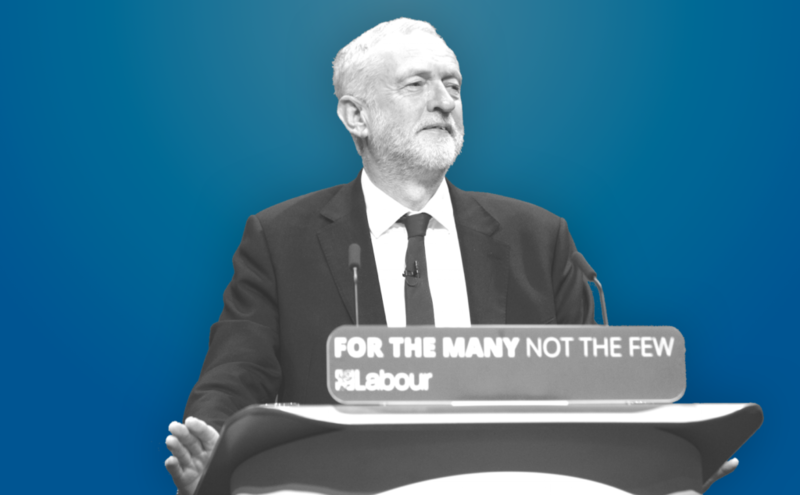 Through “Lexit”, a cocktail of left-wing economics and socially conservative values is on the ascendence in Corbynite circles – and that could pose real dangers for the long-term health of the project. As an advisor to Ed Miliband, Glasman proposed a range of policies to help Labour re-engage with a working class that had been alienated under New Labour. While developing a critique of global financial capitalism comparable to what we’ve seen from Corbynite economists, Glasman also voiced radical views on immigration. At one point, he even proposed that immigration to the UK should be stopped completely, bar a select few whose skills the country needs. Glasman’s influence paved the way for the infamous “Controls on Immigration” mugs. Some critics said Miliband embraced Blue Labour thinking because there was a lack of intellectual development in the party. This danger applies to Corbynism, too: although there is broad agreement among Corbyn supporters that we should oppose austerity and promote the redistribution of wealth and power, no coherent theoretical framework has been fleshed out that explains what this means in practise or how it can be achieved. This contested, intellectual vacuum can be exploited by thinkers such as Glasman, who has now found an ‘in’ through his alliance with Lexiteers. Blue Labour argues that the populism shaping our political climate, including Brexit, is not a reaction primarily driven by economic injustice. Instead, the root cause is “uncontrolled und uninvited demographic and economic change”, which has resulted in a loss of national community and “moral boundaries”. It believes that, for Corbynism to be successful, the party must move on from an embrace of identity politics, towards constructing what they describe as “national popular politics”. Labour has failed to engage with questions of identity and belonging for too long. This has given space for the far right to develop and nurture in communities where Labour could step in to build a more inclusive vision of society. But Blue Labour’s more traditional focus will do little to address the undercurrent of British society that is conservative, less socially accepting of “the other” unless it assimilates.